As part of the Stanley Picker Gallery’s Schools’ Programme, local school children and college students have been participating in a series of Gallery-based workshops inspired by The Liquid Game, an immersive and multi-sensory installation by Stanley Picker Fellows, Boudicca (Zowie Broach and Brian Kirkby) which takes influence from by the Gallery’s cultural history and island location along the Hogsmill River. Throughout this programme, currently in progress, students are learning about the duo’s practice, influences and creative processes, and sharing their individual interpretations and ideas through listening activities, drawing and discussion. 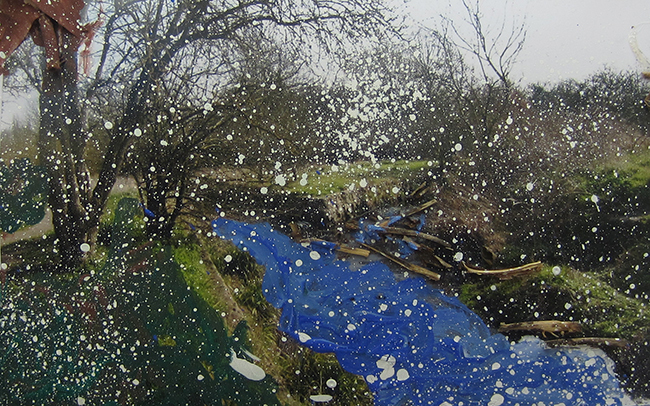 Inspired by Boudicca, and before them Millais (1829-1896) students are exploring the riverbank, sketching and collecting other visual and digital material for transformation into their own 2d landscapes and interactive installations. All outcomes are being documented in preparation for presentation online.